Ethnopharmacological relevance: The dry leaf of Alchornea cordifolia (AC) is used, in traditional medicine in the S Nigeria, for the preparation of blood tonic, remedies for urinary, respiratory, liver and gas intestinal disorders. Aim of the study: This study investigated the protective property of AC leaf against liver damage in animals with a view to exploring its use for the treatment of hepatotoxicity in humans. Material and methods: Ethanol extract of A. cordifolia was used to study the hepatoprotective activity in acetaminophen-induced Albino rats (150-200g). Animals in Group 1 served as vehicle control, Group 2 served as hepatotoxin (Acetaminophen 2g/kg treated) group, Groups 3 and 4 served as positive control (Vitamin E and Curcumin 100 mg/kg bw respectively) groups, and Groups 5-8 served as (200-500mg/kg bw) AC leaf extract treated groups while Group 9 served as normal group (AC extract only 300 mg/kg bw). Results: The hepatotoxic group showed hepatocytic necrosis, cellular infiltration and inflammation in the liver. The treatment group restored the liver cells to their normal lobular architecture in a dose dependent manner. The protection offered by the plant extract compared well with the standard antioxidant agents (Curcumin and Vitamin E). Tannins, flavonoids, alkaloids and saponins were detected in the phytochemical screening. 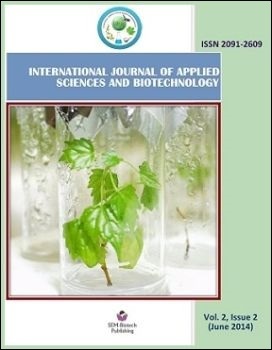 Conclusion: Our findings suggest Alchornea cordifolia ethanol leaf extract as promising herpatoprotective herb and give credence to the folkloric use of this plant for the treatment of liver problems.